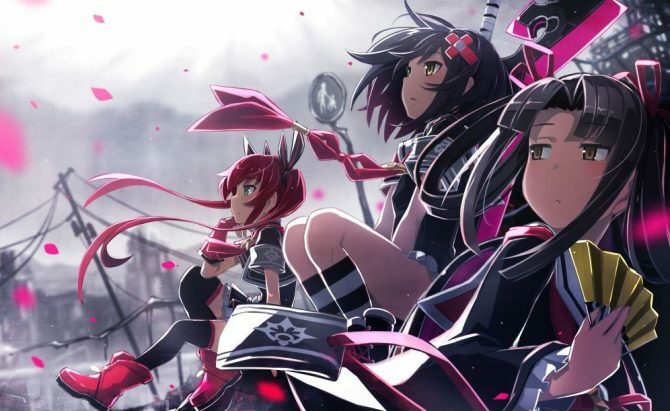 Mary Skelter: Nightmares bring horror to the Dungeon Crawling RPG genre with many unique systems and an impressive story. Grimms’ Fairy Tales and other Western fables have been the source of many of my favorite films and video games. I can appreciate how flexible the timeless stories can be, as they are told with a dark or light tone. There seems to be countless ways to tell each of the stories, from Alice in Wonderland to Sleeping Beauty and I never seem to tire of the creative and artistic approaches that are taken when adapting these premises. However, that’s not to say that all of these adaptations are going to be good (see: Snow White and the 7 Clever Boys on PS2). I was skeptical of Idea Factory International’s newest game Mary Skelter: Nightmares because at first glance it can look like a typical dungeon-crawling RPG that adds little to the genre and only borrows older systems that we’ve seen time and time again. Thankfully, I was completely wrong and what I found instead was a deep battle system and environment interaction told through a compelling story that I wasn’t at all expecting. 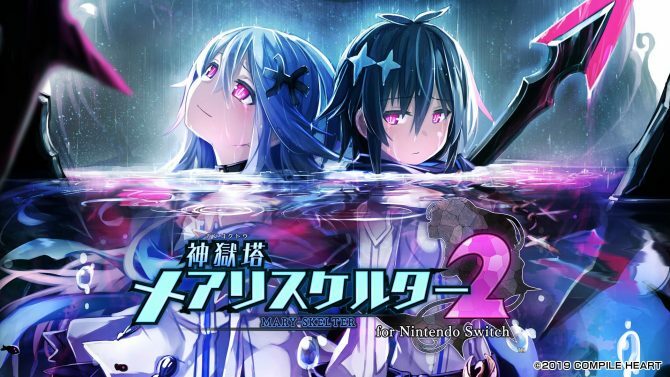 Mary Skelter: Nightmares begins by introducing us to the two main characters Jack (of Jack and the Beanstalk) and Alice (of Alice in Wonderland) who are trapped in a prison and tortured on a daily basis by enemies known as Marchens. The two are trapped in a “Living Jail” that appeared and captured many confused citizens within its walls. Thankfully, the two are assisted by a member of the Blood Maidens, who are a group of young girls that have the power to defeat Marchens. After escaping to the Liberated District, a safe area for humans within the prison, it’s discovered that not only does Alice have the power to be a Blood Maiden, but Jack is found to be the first Blood Youth. Jack’s unique power enables him to help the members of Blood Maiden during battle, although we can get into that a bit later. Let me just say that Mary Skelter: Nightmare’s story is way better than I could have imagined. The character interaction is engaging and deep and doesn’t rely so much on anime tropes that we are used to seeing in these type of games. Jack is not a typical male protagonist who is forced into a harem situation where every girl wants him, although the game has its moments. Instead, he is completely set on protecting Alice and the other Blood Maidens in any way he can. Furthermore, throughout the game there are a few twists and surprises that are teased in the beginning of the story that don’t quite make sense till later on. Being new to the Liberated District, Jack and Alice are cautious of every character they meet with good reason — everyone they meet is a stranger. Early on, Jack has thoughts and overwhelming desires that his character in the original fairy tale would have, and the story does well to pace out just how great of an asset he is to the team. To get to know the characters more, Jack is able to visit the Blood Maiden’s rooms to trigger story events or give them gifts. By spending time with the girls their affection for Jack will improve. These interactions were charming and provided a good break from the dungeon crawling gameplay. Furthermore, I didn’t feel like this system was underdeveloped or was added in order to extend the game’s runtime. 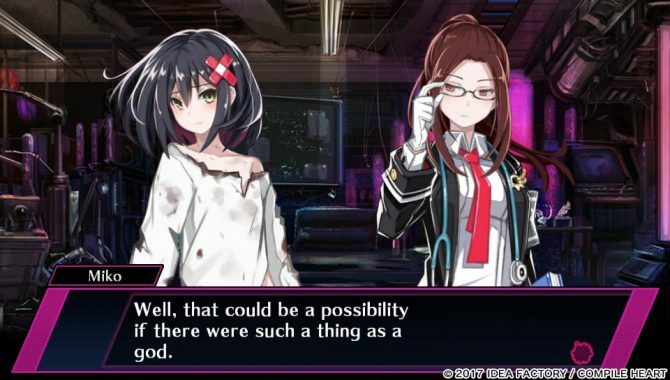 The importance of friendship between Jack and Blood Maidens plays a big part in Mary Skelter: Nightmare’s battlesystem. In battle, each character has a blood gauge that increases every time someone lands an overkill attack on an enemy. When the gauge is full they will enter Blood Skelter mood, with improves their strength and also adds unique skills. However, the girls can also use this blood to their advantage by licking it off another party member in order to gain HP or cast a buff on the entire party. This gauge also shows how close the girls are to freaking out and entering the dreaded Massacre Mode. As the girls take damage, the blood gauge will begin to turn black. The only way to purify the girls in battle is for Jack to shoot his blood at them, but if he does it too many times he’ll pass out for a turn. 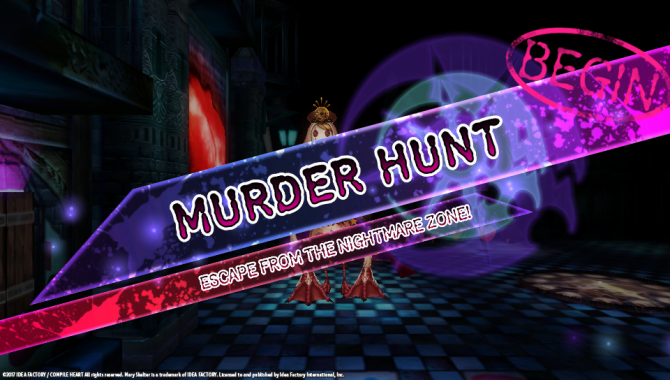 If you couldn’t already tell, battles in Mary Skelter: Nightmares require a lot of attention and planning from the player — especially if you go into a dungeon under-leveled. You see, Jack can’t attack; all he can do is use items, purify the girls, and guard against a single attack from an enemy. Strategically planning and understanding how to use Jack in battle is necessary when going up against some of the bosses you’ll go up against. On top of all of this, each Blood Maiden can change job classes and skills from points earned in battle. Each job class comes with a new outfit for the character and a new set of skills. This means that you can bring your preferred party type of favorite Blood Maidens into battle with you. This also adds some level grinding to the game, which isn’t a huge pain and can be done while you explore new parts of the dungeons. 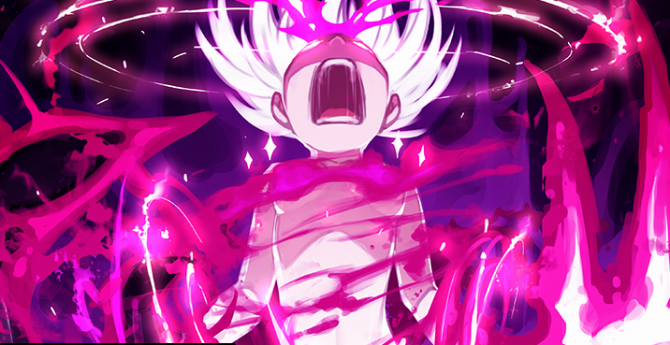 It’s good to mention that Mary Skelter: Nightmares can be brutally difficult at times and unforgiving since there isn’t an autosave system. It’s highly encouraged to save often and make sure your party is battle ready at all times because there were a few times I lost a couple of hours of gameplay because I thought I was too cool too save, I learned my lesson. 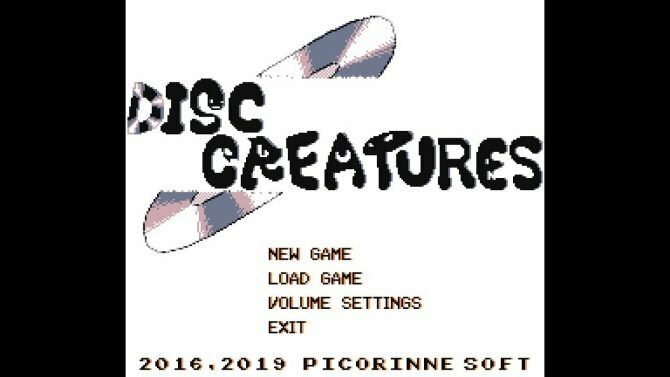 The difficulty of the game can also be adjusted at anytime from the menu. This unique approach to dungeon RPG battles rejuvenated my appreciation for the genre. Mary Skelter: Nightmares doesn’t play it safe at all when delivering a dungeon crawler, and it works surprisingly well. This is because there are a lot of battles that await those who play Mary Skelter: Nightmares and I often worry that I will grow bored or feel the weight of repetition. Although many battles will be up against similar enemies as I explored a dungeon, I never felt worn out or annoyed that I had to fight. 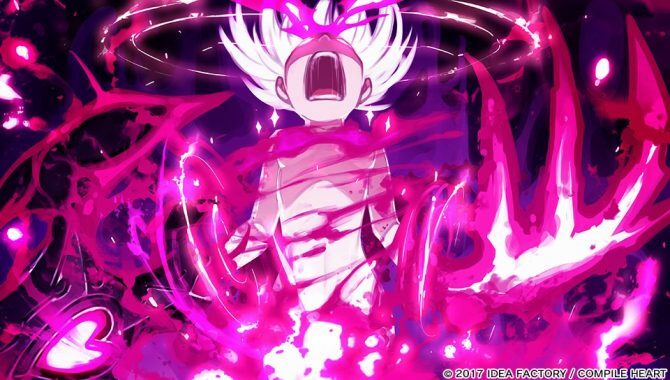 The dungeons in Mary Skelter: Nightmares can be enormous. There are various labyrinth themes that you’ll be able to explore over the duration of the game’s campaign. Sadly, although they are each themed differently, the scale of the dungeons make the repetitive rooms and isles more clear. This includes seeing the same set pieces and traps. However, on a positive note, they are each designed really well and create an accurate tone for what the theme of the dungeon is. I must admit that I enjoy exploring dungeons. I also have an OCD where I must complete the entire map square by square. 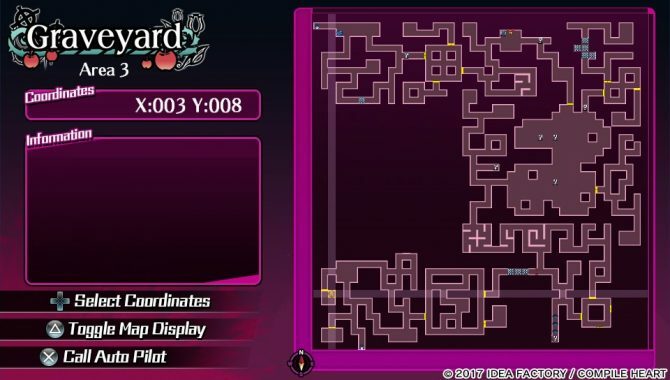 Thankfully, Mary Skelter: Nightmares rewards this by allowing auto walk to areas that you have on your map. Additionally, rooms are only accessible if you have a certain member in your party. Each girl has a dungeon skill that uses SP to be able to use on the map. This includes actions like placing a bomb on the ground or shooting an arrow that unlocks a door. 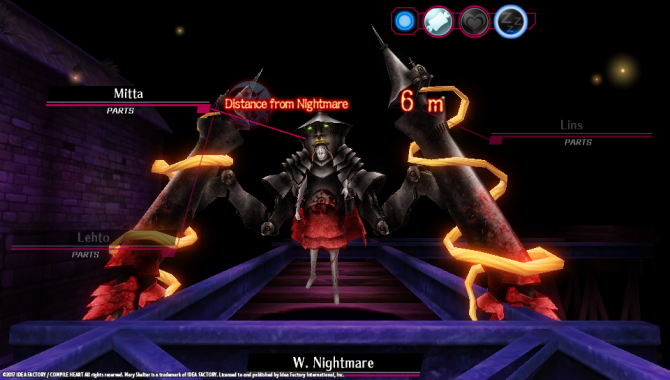 Boss battles, called Nightmares, in Mary Skelter: Nightmares first happen on the battlefield at random. As the player explores the dungeon these Nightmares will appear and make everything around the player grow dark. However, they are invincible until you destroy the dungeon’s core, so if this happens your best bet is to just try and run away. I really appreciated this system and made exploring dungeons have a randomness to them that forced me to be ready for a large scale battle at any moment. 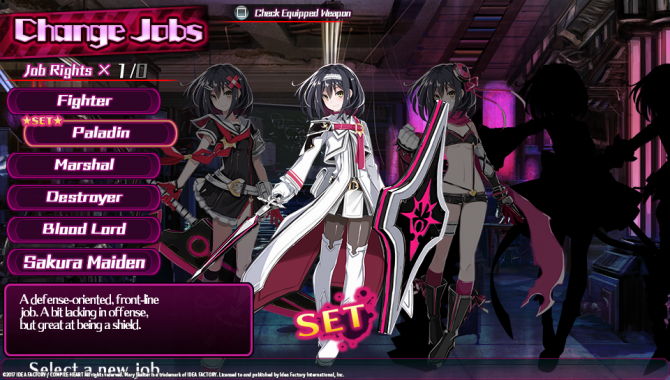 Mary Skelter: Nightmares also offer a few things to do at the Liberated District. Aside from customizing the Blood Maiden’s rooms, players are able to purchase weapons and items, create new job classes and skills, and also accept quests. Oh and yes, there is a touching mini-game that has the player purify the girls more and clean Blood of them. Evidently, this also takes away their clothing. This mini-game is fine and at most allows the player to feel closer to the Blood Maidens, which is necessary to get the most out of the game’s story and battle system. I appreciated the addition to the quests since it gave me something to do while I was level grinding, but they were pretty unorganized and often vague with what you were supposed to do. The size of the levels also affected these quests because they aren’t very clear on where in the dungeon to find certain monsters, you just have to know. 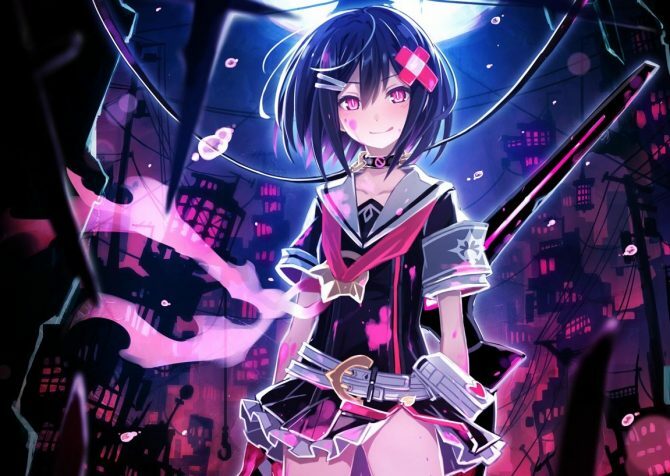 Mary Skelter: Nightmares provides the dungeon crawling experience fans of the genre crave. The game offers a unique battle system that requires attention and skill to master, many different ways to customize characters, and large dungeons to explore with many hidden rooms and valuable loot. In the end, the character growth and deep story made me appreciate Mary Skelter: Nightmares as more than just another simple dungeon crawler that I’ve seen time and time again. The game has a way to make you care about the characters which is something that I ultimately look for in these types of games.